1157 TACTICAL: EREBIS NOW AS STANDARD ! EREBIS Is the latest commercial pattern that closely mimics the MOD's MTP ( Multi Terrain Pattern ) . 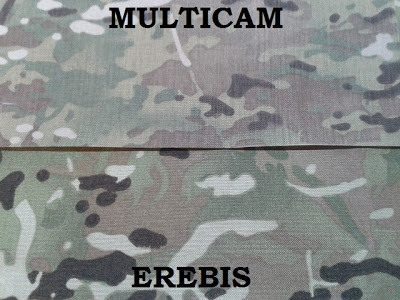 So much so we have decided to convert out entire product line to it .Multicam will still be available upon request but at a premium. 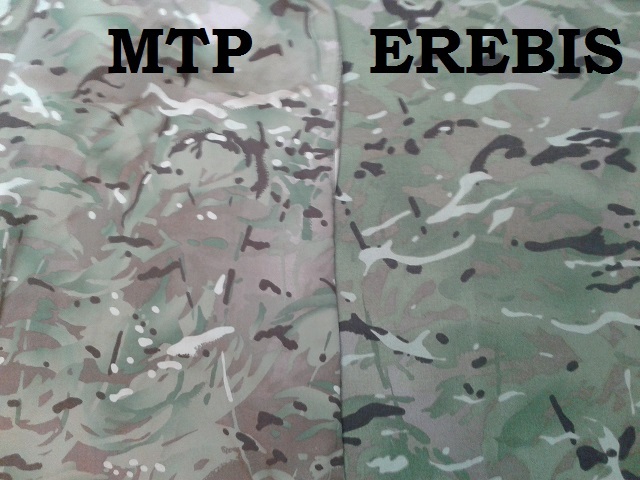 As you can see from the pictures below there really is very little to tell the fabrics apart.